Happy New Year Sunnyfae. I have enjoyed your drawings and paintings this year. 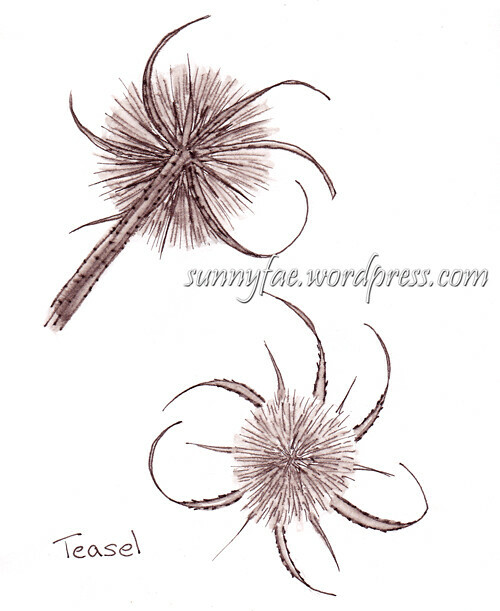 The teasel drawing is especially delicate and lovely. I remember picking them when I was young and can still feel the sharp spines poking my skin! Lovely drawing. Thanks Fay for your visits and the wonderfully encouraging comments. 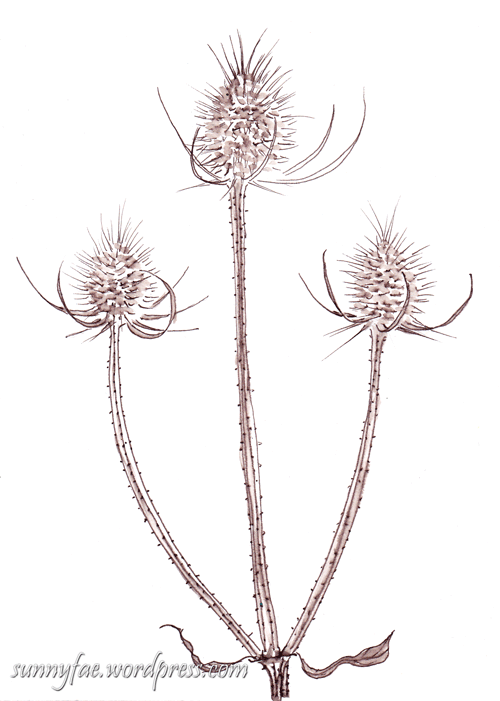 I really like your seeds/ plant illustrations, they are really stylized!! Happy New Year!!! 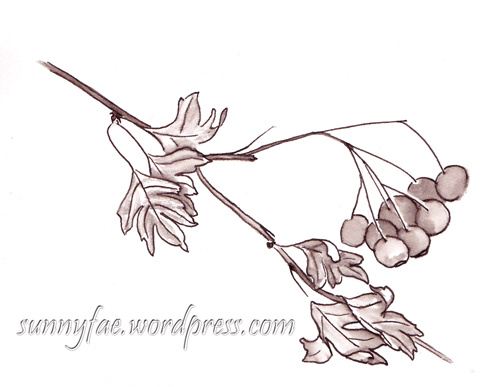 Lovely sketches, and like the brown ink.